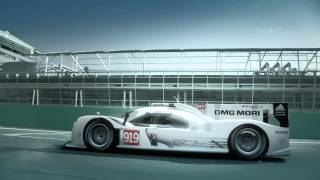 The first drivers to be selected were Timo Bernhard and Romain Dumas. The two bring the experience of seven overall victories each from 24 hour races – Nürburgring, Daytona, Spa and overall victory together in Le Mans with Audi. In July 2013, the ex-Formula 1 test driver Neel Jani joined the team, with Mark Webber coming onboard at the end of the 2013 Formula 1 season. Brendon Hartley and Marc Lieb wrapped up the squad shortly before Christmas. 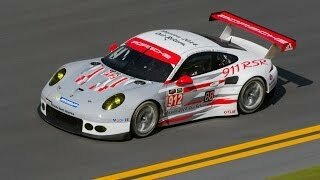 Frédéric Makowiecki joins the ranks of Porsche Motorsport’s GT squad this season to pilot a 911 RSR. The Frenchman, who prefers to be called Fred Mako, is a regular competitor behind the wheel of Porsche race cars. He has collected more than nine years of experience in the cockpit of the 911. One of his greatest achievements was clinching the title of the Porsche Carrera Cup France in 2010. “Frédéric Makowiecki is one of the fastest and most experienced GT pilots,” says Porsche Head of Motorsport Hartmut Kristen. “He has a great deal of experience on virtually all international race tracks and he knows precisely how to drive a Porsche 911 fast. At the wheel of the Porsche 911 RSR for the 2014 season, Porsche works drivers Joerg Bergmeister (D), Michael Christensen (DK), Wolf Henzler (D), Marco Holzer (D), Richard Lietz (A), Patrick Long (USA), Patrick Pilet (F) and Nick Tandy (GB) contest the Sports Car World Endurance Championship WEC or the new Tudor United SportsCar Championship in the USA and Canada. Rounding out the Porsche factory squad for 2014 are Porsche Juniors Klaus Bachler (A) in the Porsche Mobil 1 Supercup as well as Connor de Phillippi (USA), Sven Müller (D) and Alex Riberas (E) in the Porsche Carrera Cup Deutschland. New Zealander Earl Bamber, the winner of the Porsche Motorsport International Cup Scholarship, receives support for his Porsche Mobil 1 Supercup campaign. 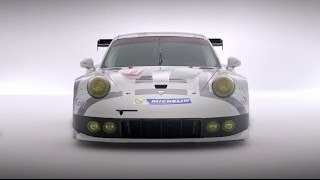 Porsche has announced the new driver lineup for the 2017 season.